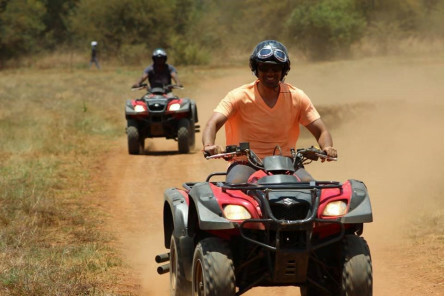 Relax and recharge with an adventure-filled 30 Minute Quad Bike Ride & Bushveld Champagne Picnic for Two. 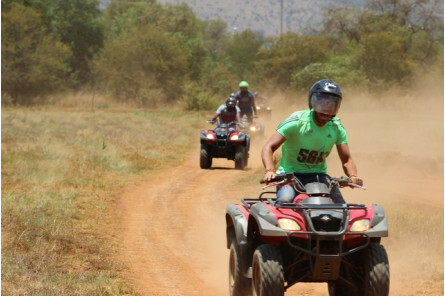 A short drive from Pretoria and Midrand, Saddle Creek Ranch offers the perfect escape from the hustle and bustle of the city with exciting adventure quad trails for people of all ages. The 30 Minute Quad Bike Ride & Bushveld Champagne Picnic for Two is the perfect way to enjoy a day of adventure with your best friend or love interest. 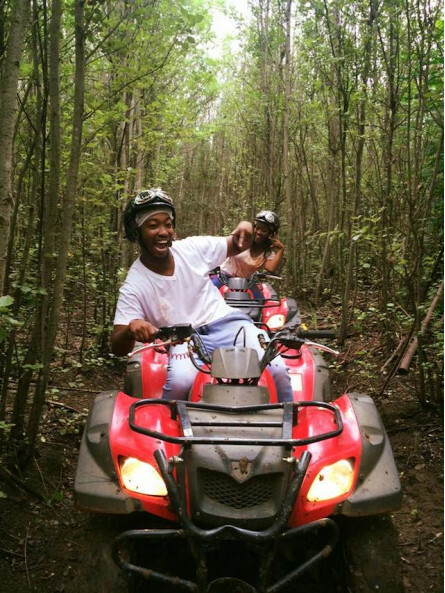 Few things create memories and lasting connections as well as adventure does, and blasting along the bush trails on a quad definitely sets the adrenaline in motion. Friendly, experienced and safety conscious guides will help you select your ride to suit your level of experience. Options range from mini quads and fully automatic 100cc quads, to 250cc semi-automatics. Afterwards, you will enjoy a lovely Bushveld Champagne Picnic in the untamed bush. When you reach the picnic spot, your feast will be set up with a blanket, chairs, champagne bucket and a basket of delectable treats, such as chips and dip, muffins, beef meatballs, chicken nuggets, samoosas,mini vetkoek with bobotie, barbeque pancakes, mini chicken burgers strawberries and salted caramel swiss rolls (subject to season and availability). 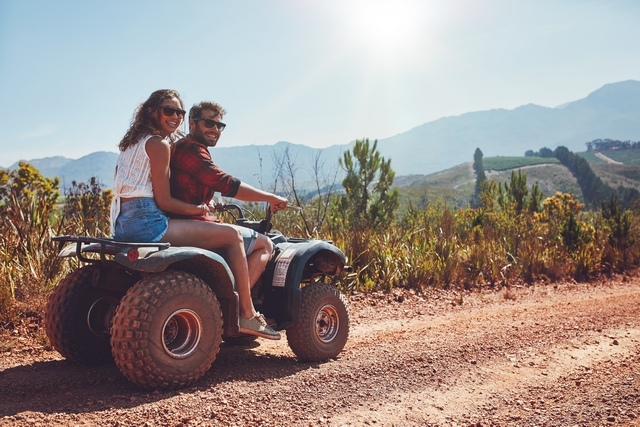 The 30 Minute Quad Bike Ride with Bushveld Champagne Picnic for Two is the perfect adventure date, or adventure proposal idea. Book your 30 Minute Quad Bike Ride with Bushveld Champagne Picnic for Two now. Picnic treats are subject to change without notice. Halaal and Vegetarian Friendly.